How do our listening tastes evolve over time? What effect does personal experience influence have over what we find compelling? Is it possible for a musician to let go and appreciate what he or she hears compared to the average person who has no frame of reference to how that music is made? For the hard-core guitar geek: As guitar players are we able to divorce ourselves from the oft asked question (“could I play that?”) or even learn to appreciate or (gulp) like something that has no guitar playing at all? Each one of those questions is probably worthy of an entire blog entry on its own. Back when I was the editor of On The Water magazine my publisher (also an editor) taught me to thoroughly examine each point made by a writer and not be blown away by massive amounts of information or outright BS. Once I sent him a feature I had written and was quite proud of, but he rejected it because he said I hadn’t fully expanded on the many good points he said I’d made. He was right. I rewrote it. He would probably flinch at the attempt I’m about to make to tackle those questions above. Oh well. I don’t work for him anymore, ha! There’s no question about the evolution of musical taste, not to anyone who’s seriously into music. From a player’s perspective I think the trick is to keep what you need or like as you move on and learn to separate the wheat from the chaff, so to speak. The certainty of youth gives way to many-layered reality. But I’ve noticed something curious over the last decade or so. I know some very good local musicians who see no need to evolve and seem to be perfectly happy playing popular music from a generation or even two, before. Part of me finds this to be a bit lazy but hey, they get work and the audiences don’t seem to mind hearing the same songs over and over. The better ones know which side the ol’ bread is buttered on – they will keep playing those old nuggets – but when they are playing for purely their own enjoyment they often spring some pretty amazing music on their friends. One bass player I know (he is also a fine guitarist and mandolin player) is fine with playing in a couple groups whose entire repertoire is semi-acoustic oldies but he also pays plenty of attention to the latest crop of young singer-songwriters and does a great job with covers of their stuff. You’ll just never hear him play that music at the local watering hole. I suspect that there are plenty of serious and semi-professional players out there who do the same. They are evolving but in a quiet way. Pragmaticism wins again. This is not a criticism; I do that myself! Taste. Likes. What we find compelling again and again. This is one of the joys of music I think. Quick example. Way back when I was in college the first Crosby, Stills and Nash album was released and for a period of a few months “Suite for Juby Blue Eyes” was absolutely inescapable. I loved it then and I love it today! And here’s why. That song has reappeared countless times at pivotal moments in my life, almost like a soundtrack. Every time I hear it a rush of emotion comes over me, recalling good times with dear friends, road trips to beautiful places and much more. I’m sure we all have songs like that. Sometimes we even have the joy of remembering a song or an album that we loved years ago but has slipped our minds. Last summer I rediscovered the classic Little Feat album “Let It Roll,” which was released back in 1988. I positively loved that album for a while – I defy anyone to sit still while its playing. It became my go-to album last summer when I sat out on my back deck in the evening after finishing teaching, slipping on a glass of Petron Anejo. Man, does that make me feel good (not just the tequila!). Guess what? Now you’re cursed! Your days of going to a music show and just sitting back and enjoying what you’re hearing are gone. You’ll be sitting there asking yourself – what chords is the guitarist playing? What kind of guitar does he have? OK, I mean this totally in jest but for many budding guitarists it’s a real thing. Not a bad thing, just a reality. What I’ve found over the years is that it’s certainly possible to note those things but then if the performance is really outstanding the music can take me to an emotional depth that non-players just can’t understand or appreciate. If the performance is not that great, I can always go back to focusing on those chords and the guitars. So I think this is a win-win! My last question bumps into a lot of issues, not the least of which is ego. I’ve written about the pitfalls of ego-based music making many times in this space. Hopefully, our ego allows us to accept and appreciate a wide range of music that it totally unrelated to guitar playing. There is a great article in the latest issue of Fretboard Journal magazine that profiles the amazing flat-pick style guitarist Molly Tuttle. If you haven’t heard Molly, check her out, I guarantee you will be blown away. When the interviewer asked her who she listens to, who’s on her Spotify play lists, she rattles off many of the people you’d expect but also included are 2Pac and Thugz Mansion. Wow. “I try to stay open to everything,” said Molly. But hey, she’s young. I’m not going to be exploring hip-hop any time soon, OK, never, but Luciano Pavarotti singing “Nessun Dorma” slays me every time, without a guitar in sight. There’s plenty of classical music I feel that way about. All I’m saying is, take Molly’s words to heart. “Fishin’ Blues” by Taj Mahal. Been playing that one for years but I probably don’t do it justice compared to the great Taj. Super fun to play though with some worldly wisdom that is obvious but complex too. “Many fish bite if you got the right bait!” Yup. Words to live by, folks! I recently discovered a positively wonderful tune by John Prine, “Fish and Whistle.” God, I love John Prine’s music. Oh so deceptively easy from a musical perspective but oh so deeply layered and occasionally hilarious lyric-wise. I’ve come to believe that the two living masters of the Americana/singer-songwriter genre are John Prine and Steve Earle. Sometimes I have to warn students about what they will hear from those guys if they are unfamiliar with them. Neither has a voice that’s immediately easy on the ears and occasionally I’ll have a student who just can’t get past that. With those folks I’ll encourage them to listen to other artists covering their material, like Bonnie Raitt’s classic cover of Prine’s “Angel from Montgomery.” Quite a few of the legendary Texas singer-songwriters are like that too, people like the late, great Townes Van Zandt and Guy Clark. But most of my students – the adults, anyway – learn how to listen to those artists because there is so, so much more to their music from a poetic standpoint. All of the musicians I just mentioned employ basic chords and strum or finger patterns so their music is do-able by the vast majority of guitarists, even those barely past the beginner stage. Sure, it’s fun and challenging and ultimately beautiful and gratifying to delve into the guitar styles of “better” guitar players (whatever that really means…) like James Taylor, Paul Simon, and the myriad younger players who employ open tunings. I am attracted to those complexities most of the time but I came to realize that the guitar stylings of writers like Prine and Earle are really just frames on their lyrical paintings. The same could be said for Dylan. So what makes the lyricism of John Prine and Steve Earle so compelling? I think that’s easy to answer: life experience. Both of those writers have seen more than most of us ever will and have the ability to convey what they’ve lived. John Prine has had more than the average amount of heartbreak, from what I’ve read, and he survived a serious bout of cancer, which is why he tilts his head when he sings. Steve Earle survived serious drug addiction and spent time in jail, which he credits for being the reason he’s still with us today. Steve has also loved and lost. Read up on his relationship with the fabulous country singer-songwriter Alison Moorer. Plenty of fodder there for plenty of songs by both those guys, songs that come from real experience and not some contrived down-home persona that I see these days from some of the young bearded, flannel shirt wearing, floor gazing exponents of retro country and Americana. I’m talking to you, Shakey Graves and Father John Misty! And now, a shift of gears. 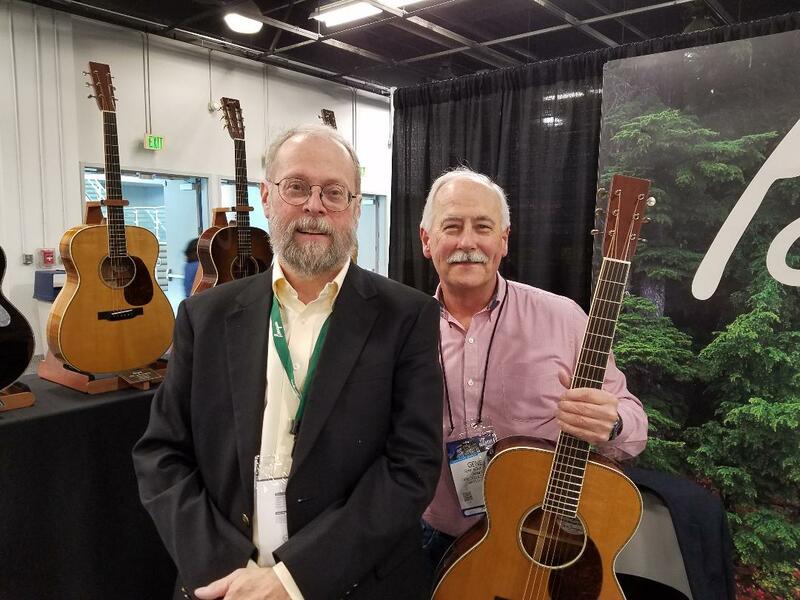 As I mentioned in a recent post, my gear quests over the last couple of years have shifted more and more toward finding the BEST sounding amplifier designed specifically for acoustic guitar. After trying and becoming quickly dissatisfied with a bunch of expensive and generally well-regarded amps of this type (Schertler, AER, Henriksen, others….) I bought an ACUS Oneforstrings 8 and it may be “the one.” I’ve been using it every week at my regular gig at the Daily Brew Café in Cataumet, MA for the last two months and I couldn’t be happier. The sound is pure and sweet, it has plenty of power, is relatively light weight but solidly constructed, and has all the features I want with three independent channels for guitar and/or vocals. Plus its wood casing is beautiful and an eye-catcher. Just yesterday a woman musician I used to play with came in the Brew and she remarked at how wonderful it sounded, clear and lush and natural without being overbearing. This Italian-made amp is not easy to find; they only have a few dealers in this country but I’m so glad I took the recommendation to buy one from a member of one of the guitar forums I visit regularly. Quite pricey, yes, but if you’re looking for the best, purest acoustic sound I highly, highly recommend this amp. I do still have a Bose S1 Pro that I like primarily because of its built in battery and overall good sound but it can’t hold a candle to my ACUS. I’ll keep the Bose for those outdoor gigs I get like beach weddings where power is not available. My relaunch of my web store is progressing. I still have some important details to attend to regarding platforms and shopping carts, plus getting good detailed images to use but I’m hopeful it will be up and running in the near future. I’m very psyched to be able to offer a less known but fantastic guitar line and cool and useful accessories that you won’t find at your local guitar super store or via the mega music sites. Stay tuned. A New Year's resolution that I WILL keep!! 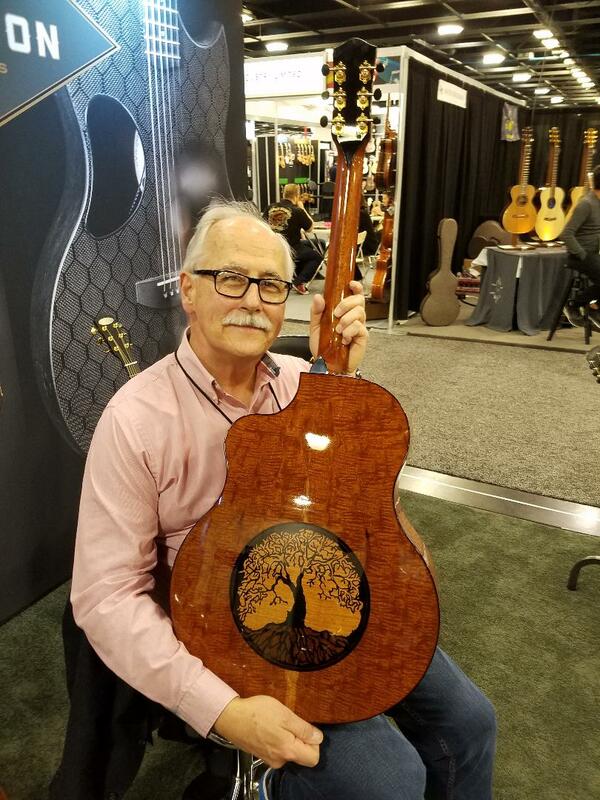 If you’ve been reading this blog for a while you know I like to relate things large and small that have influenced me musically and as a guitar teacher. Some years there are a lot of things, some years very few. My hope is that anyone reading my ramblings will find some little thing to take away that may open their eyes and ears a bit or make them a better guitar player. Taking it a bit further, I think it’s often a good and healthy exercise to question our beliefs and our standards. That can definitely relate to music, both the making of it and listening and absorbing what’s being heard. For quite a while now I’ve been trying to step back and make value judgements about my own long-held musical ideas and beliefs. In many cases I feel the need to boil down what I’m hearing and try to figure out just where the writer was coming from. If I’m successful at that I feel I can decide about whether a particular artist or even a genre is worth investing my time in as a guitar teacher. The ease of access online to almost limitless types of music and those playing it is a double-edged sword. As a guitar teacher I certainly appreciate being able to hear and analyze just about any song recorded in the last 50 or so years. I’m constantly searching for new artists whose music is worth exploring and if one of my students requests a song or music by an artist I’m not familiar with I can quickly and easily find that person or song. Hopefully, that artist or song has something in it that will be of value to not just that one student but many. If that’s the case then it’s certainly worth the time and effort to learn and chart out that song – and maybe others by that artist who is new to me. Where it gets sticky is how I try to balance the student’s interests and tastes with my beliefs about the value of spending time learning songs that I sometimes feel are a waste of a student’s valuable learning time. In the last year (here I go with the “in the last year” thing!) I’ve come to the conclusion that there is depressingly large amount of disposable, derivative and calculated pop music being foisted on younger listeners. I’m pretty sure that my dad and other good musicians of his time said pretty much the same thing about the Beatles and the Stones and Motown that were a huge part of my youth, musically speaking. But at the risk of sounding like the old guy that I am, things are different now. Look, it’s all about making money; I know that. Always has been. To my ear and mind the primary difference now compared to a generation or so ago is that the vast majority of what I hear from people like Taylor Swift and Ed Sheeran is written, arranged and recorded to sound as much like what those artists have done BEFORE as possible. No chances are taken, no boundaries are pushed. After their first couple of albums the Beatles were all about taking chances and pushing boundaries. You could say the same about many of the pop artists of that time. That is the difference between then and now. Not all the artists of my youth were new and different with every new release. Some were imitative and derivative and in some cases, just downright bad. But the I still maintain that the possibility of originality was much, much more in the forefront than it is today. Does any of that matter if you’re a young person who just wants to bang out a Taylor Swift song? Probably not, and if Taylor did try something radical and different – OK, maybe even just a little different – she probably wouldn’t sell very many downloads. The way things are, her music and Ed Sheeran’s and many other pop songwriters we could name is rather like the last meal you had at a fast food joint when you were really, really hungry. Satisfying, maybe even damn good at the time but ultimately forgettable. It served the purpose and need at the time, and that’s about all. But you knew what to expect when you went into that fast food place and they didn’t disappoint you, so it’s likely you’ll go in there again at some point. Today’s music industry knows and understands this; counts on, actually. So how does all this relate to me personally? Well, I’ve come to a decision, one that’s likely to cost me a few students. One of the things I do at the first lesson a student takes with me is give them a form to fill out, which I call my Student Profile. I ask them to answer a few basic questions about their previous musical experience, contact information, etc., and also who they like and listen to. In the past year or so most of my younger students (especially girls) will put down the previously mentioned artists. I go to great lengths to try and present music to my students that they are going to know and enjoy playing. I also ask them to keep an open mind. I’ve always felt that I can demonstrate various techniques and musical concepts using just about any kind of music. Focusing entirely on acoustic guitar method eliminates some genres such as hard rock, which is fine by me. Been there, done that, don’t need to do it again. The fact is, I really don’t like Taylor Swift. Or Ed Sheeran, very much. Or most of the “Bro Country” guys. Or pretty much any singer who depends upon AutoTune to sing in tune. So – beginning immediately I’m not going to teach that music anymore. I may be shooting myself in the foot, teaching-wise but I also feel a strong obligation to stay true to what I feel is worthwhile from a learning perspective. If I can’t muster enthusiasm for a genre or the music of a specific artist, I can’t convey enthusiasm when I teach that music and a big, big part of my job is being a cheerleader. I think I’m a pretty damn good one most of the time and I don’t want to lose that skill! There are other guitar teachers in the area who I’m sure are very much ready, willing and able to teach Taylor and Ed songs. Bless their hearts, as my grandmother used to say. Who knows? Maybe the next Taylor or Ed will emerge from ol’ Cape Cod thanks to the efforts some local guitar teacher. But it won’t be me. I don’t know, maybe it’s because of the season, when we’re encouraged to be joyful via songs, commercial messages (plenty of those) and images of jolly old St. Nick but lately I’ve been thinking about the basic pleasure – the joy – of making music. What is it in our genetic makeup that makes the playing of music just feel so good? Does it have something to do with music being a form of communication, one that conveys emotion better than basic verbal communication? I may be over-thinking this…. But in the last week or so I witnessed two very different but equally joyful displays of music-making. One was by a local band who have a very nice following and play lots of up-tempo well-known songs by people like the Eagles, Van Morrison, Tom Petty, Jimmy Buffett and the like. They only play out on an occasional basis but a couple of the members play in other, smaller groups that are also popular in the area. Are they slick and professional? Hell, no. They are all good players but they hardly ever rehearse so things like counted-off intros and tight outros are hardly ever a major concern. No set lists are in sight; they just kind of move from tune to tune at the whim of whoever happens to think of another song when they finish one. They also have no hesitation in throwing down a few beers while they are performing and probably a few before they start. The result? The room was packed and EVERYONE was having a great time. The enthusiasm that was coming from the band was a big, big part of this. In a nutshell, they just love to play and that love and yes, joy, transcended any slight glitches in the music. I had a great time (a few margaritas may have had something to do with this of course), the band had a great time, the people listening had a great time. Mission accomplished! At the other end of the musical spectrum in terms of pure chops were the group I heard Sunday afternoon at a house concert in Wood Hole. The group was comprised of pianist Gordon Webster, a stand-up bass player, rhythm guitarist, clarinet player who doubled on alto sax and a woman singer named Tatiana Eva-Marie. They played straight-ahead traditional jazz, swing and a bit of gypsy jazz. To say they were fantastic would be an understatement, especially Webster on piano (who served as the leader and introduced most of the tunes) and Tatiana Eva-Marie. Now, you would think as I described the type of music they played that they would be older musicians, well versed in this type of jazz that was popular in the 1930s and 40s. But no – the oldest was Webster, who may have been all of 50 but I doubt it. All the rest of the players were in their 20s and 30s! How could they be so great at this seemingly archaic form of jazz? Love of the music. And joy. From the first note, the smiles never left their faces (well, OK, maybe not the clarinet guy, which would be tough to play with a smile on one’s face!). High energy and watching the musicians watch each other, smiling in appreciation of what was being played. Loving the experience and grateful for the opportunity to convey their love and joy. But it came to me on the way home: that joy from hearing and playing at such an advanced level was really no different than the joy I saw on the face of the guy in that local band, “pilgrim” hat perched on his head as belted out “Take Me Home, Country Road” with a big grin on his face – and the whole bar sang along. Over the years I’ve known a few musicians who were great players but sadly had lost the capacity to play with joy. This is usually an ego-based problem and it comes out pretty quickly that those players viewed playing music as some sort of competitive exercise. Unless you are auditioning for a major symphony orchestra or to take over for a musician in a famous band, viewing music making as a competition is a bad road to follow. Don’t even get me going on The Voice, American Idol and their ilk, which I despise. When a younger player reaches a point that may lead to playing professionally or “seriously” whatever that may mean, it is pretty easy to begin stacking his own playing against others. Ego and value judgements can begin to take over and inevitably the pure joy of playing often diminishes in direct proportion. In a few very sad cases I’ve even known players who quit playing altogether because they could no longer find the joy. As the years have gone by I’ve found that I get great satisfaction, even joy in smaller musical accomplishments. The big picture in terms of my playing has become less important compared to how I looked at things years ago. That’s not to say I’ve gotten slack about how well I can and SHOULD be playing. I still want to play as well as I possibly can every time I pick up the guitar. It’s just that my standards for attaining some level of joy have changed. So if you happen to hear me playing out somewhere and you notice a smile on my face it’s likely it’s there because I happen to like the way the chords fit together in that song, or a turn of a phrase in the lyrics touches me, or perhaps I’m reminded of something that happened long ago related to that song. And as long as those kinds of things keep happening when I pick up my guitar I’ll keep playing. Always with joy, I hope. This and that today. Finally back in the swing of playing and teaching after our two weeks in Italy. I was afraid the ol’ fingers would take some breaking in but miraculously I managed to play pretty well last weekend at the Daily Brew and got through a couple dozen or so lessons this week so all is well. Whew! 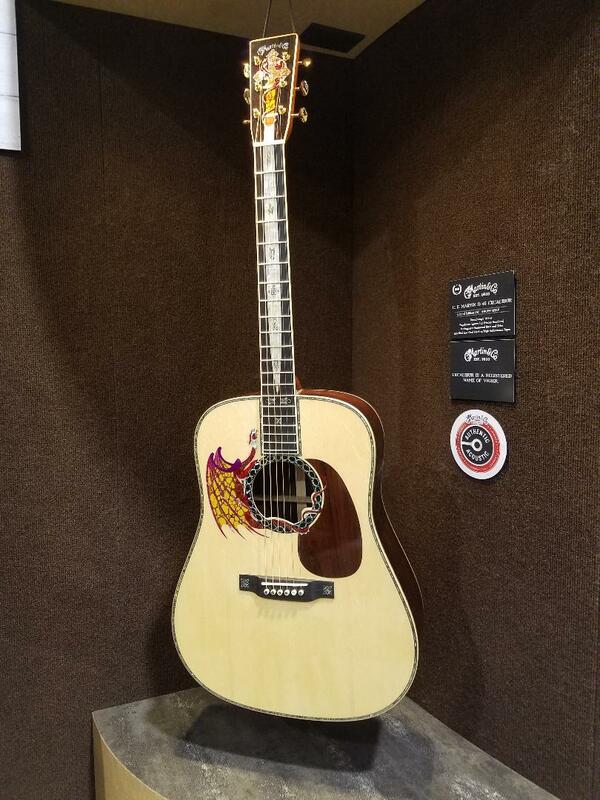 I know I’ve complained about this before in the space but why the heck is it that guitar manufacturers make so few decent but budget-priced acoustic guitars for lefties?! Right now I have a couple left-handed students, which is a challenge from a teaching perspective but a fun challenge too. The issue is their instruments. In both cases the guitars being used are barely passable at best. 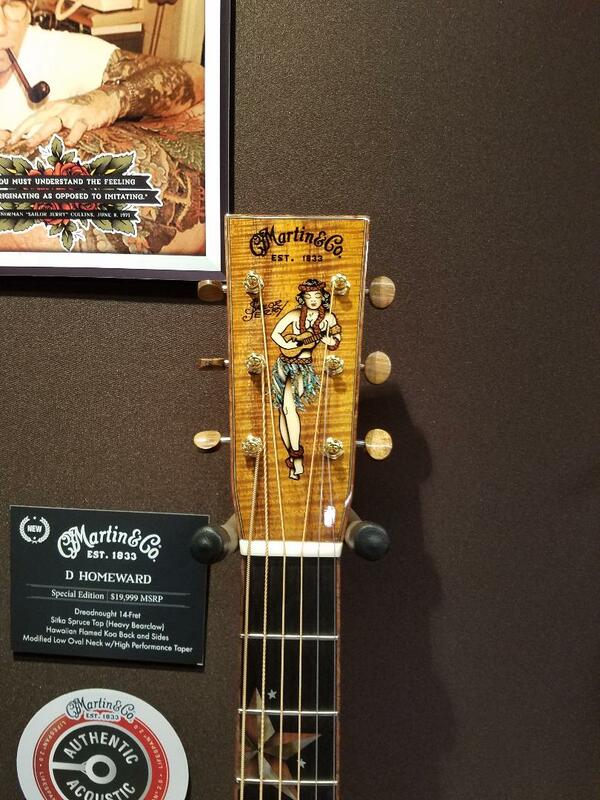 One guy took my advice and bought one of the X-series Martins, a dreadnought, from one of the big on-line retailers and it came through with a set-up that made it all but impossible to play, a poor example from this otherwise reputable company. He ended up sending it back but frankly I was a bit embarrassed to have recommended the guitar when I saw it. There are a few inexpensive models out there from companies like Yamaha and Alvarez, but very few. Otherwise, lefties are pretty much left with only very expensive instruments to choose from; in most cases a beginner is not prepared or inclined to pay well over $1000 for a guitar in the beginning. 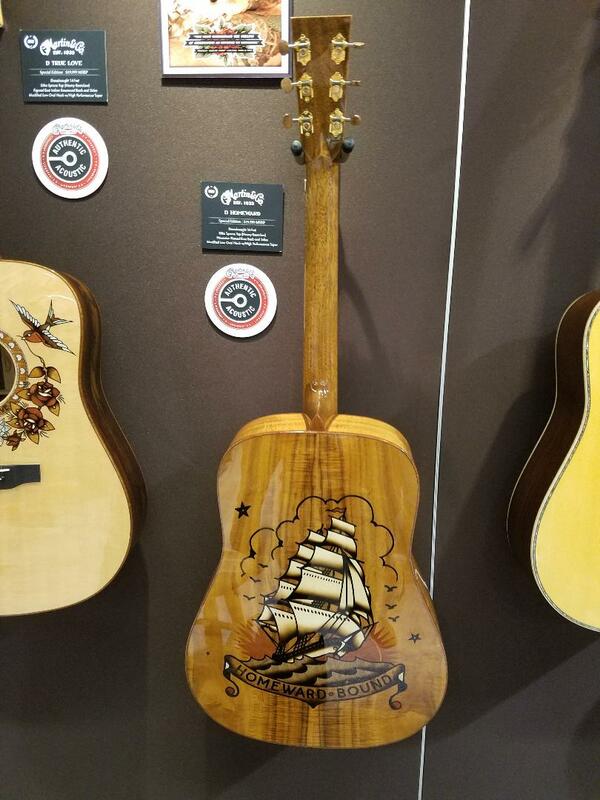 I get it – the left-handed guitar market is small, even smaller in the world of acoustics vs. electrics. But I think the makers of the higher quality Pac Rim instruments are missing the boat on this market. My brother is left-handed and I well know that the world is stacked against lefties in many annoying ways but I also know that crappy guitars will never inspire a player to go to the next level when it comes time to commit to playing in the long term. I continue to be excited about a lot of the new music I’m hearing, as I have been for a few years. Of special interest is a group from the Boston area called Darlingside. Fantastic songwriting, playing and especially singing with three tenor voices that are incredible. Check them out. I think they have a very bright future. I’m also psyched for the new album that is coming out in a couple months by Mandolin Orange. They just released the first single from that album and it sounds great. Finally bit the bullet and worked out a song by the immensely popular Ed Sheeran for one of my young students who loves his music. OK, I am a cranky old guy once in a while (maybe more than once in a while!) but his music has always sounded contrived and disposable to me, at best. But hey, a gazillion starry eyed young women can’t be wrong, right? Anyway, “Photograph” is now on my list of songs for students. Get over it, Gene! I was reminded yet again that a skilled luthier is worth his weight when my regular guy, Fran Ledoux of Bay Fretted Instruments worked his magic on a 30-year-old Yamaha for a friend of mine. She was a student way back when and her guitar was at that time one of the top-end guitars from that maker. But 30 years of brutal variations in our Cape Cod humidity did its worst and that Yamaha had become almost unplayable. I tried to adjust it as best I could but it was way beyond my skills to fix. Fran managed to return it to Martin specs, action-wise, dressed the frets and re-glued places as needed and now that old guitar is almost as good as new. I’m sure my friend will begin playing again, which is great – she used to really enjoy it. Many people set themselves up as “luthiers” with little or no training or experience. Fran studied guitar making and repair at a highly respected school many years ago and time has only made him better. He is having some health issues now and I fear the day when he’ll retire. We are very fortunate to have him in the area. My winter project is going to be transferring all my repertoire to an Ipad to use when I gig. Been meaning to do this for a few years. Lugging around a big notebook with lead sheets and lyrics is just silly with the technology that’s available now. I have tried OnSong in the past but gave up. I’ll probably revisit that site and buy an Airturn pedal for use when performing. A big project for sure – I have upwards of 300 songs in my repertoire and the time has come. And on that note, I began practicing my (gulp) Christmas songs this week. Some came back easily, some are lost in the depths of my sketchy memory. As I’ve said before about this time of year, one of the big problems with Christmas songs is that everyone knows them! So….if you screw up, there is no hiding behind fills or random changes as you can sometimes do with less familiar songs. Gotta get to work, it will be time to crank them out before I know it. I did come up with a nice arrangement last year of the “Peanuts” Christmas tune, “Christmas Time is Here.” That will be the first big challenge as I’ve totally forgotten it! I try to add one or two seasonal songs to my list every year and need to get going on that, too. Also now looking forward to the big NAMM show in Los Angeles in January. I have something of a game plan, which I can’t reveal just yet but my hope is to launch a new and different site for acoustic guitarists in the not too distant future. Watch this space for news! Back from two amazing, wonderful, breathtaking and life-changing weeks in Italy. I won’t bore you with details of our trip unrelated to music (but if you’re a Facebook friend of mine, I surely will!). No, I want to write about the music we heard or more accurately, experienced. Italy of course has a musical history that dates back thousands of years. One of the great aspects of this is that Italians have not forgotten this fact. Not only do they celebrate their own musical heritage but also embrace the music of many cultures and make it their own. At the top of this long list in recent times is American music. More on this later. Our trip – the third visit to Italy in the last ten years – was focused primarily on the island of Sicily, which is unique in the Italian experience as it has been occupied for over 2500 years by many cultures, all of whom left their mark in many ways. Greek, Roman, Arab, Norman, Spanish and modern Italian influences abound. Here are a few of the musical moments we experienced related to those cultures. We began our journey in the city of Catania, the second largest city on the island. The opera house there hosts world class performances of opera (Bellini was born and raised there so his operas are often performed) and symphonic presentations. We had just missed the last tour of the day but a sweet young Italian young lady allowed us to “sneak” into the hall to at least view the place. It is almost impossible to describe the beauty of this place. A few musicians were warming up on stage for a rehearsal that was scheduled so we had the briefest taste of the sound of the hall. Magnificent acoustics only begins to describe what we heard. The concert season throughout Italy begins in the Fall and runs into the Spring and all performances are sold out well in advance. If you are ever contemplating a trip to Italy and would like to experience an opera or symphonic concert in one of these spectacular halls, keep this in mind. We also visited the Palermo Opera House, which was equally spectacular. As we ate dinner in a great restaurant one night a roving band of musicians playing guitar, recorder, clarinet and hand percussion entered and began singing and playing lively Italian songs. Yes, it was a bit “tourist-y” but we loved every minute of it and made sure we tipped a few Euros when they were leaving. The grins never left our faces (the fine Sicilian wine may have had something to do with this!). Pretty much everywhere you will find accordion players on the streets and in the piazzas playing for tips, sometimes by themselves and sometimes with others. We heard many and they were all great. In one town (don’t remember which….) one of them was playing the theme to The Godfather, which was kind of funny and my guess is a bit bold, considering that the Mafia still holds much sway in many parts of Sicily! On another occasion we heard an accordion player with a guy playing something called a “boxo basso.” This is apparently a real instrument, not something homemade, which featured a large wooden box with an opening for volume and the neck of a stand-up bass attached to it on a large hinge. It only had one thick string but by moving the neck back and forth, stretching the string, and the player moving up and down the neck the notes would change. In other words, it was played entirely by ear and the guy playing it had a great ear, to say the least! They played some traditional Italian folk music and sounded great. In the evening you could find guitarists in many of the piazzas in just about every town. And here is where the American influence becomes most apparent. Without exception, they were ALL playing American rock, blues and singer-songwriter tunes. Sometimes there would be two playing together. Here was a big difference from our previous trip three years ago. With more and more high-powered battery-operated amps available, some of these guys (and girls!) were LOUD. Some of them were quite good, some not so much but all played with great enthusiasm. Unfortunately, the use of loopers has reached epidemic proportions with some of these performers and that combined with heavy distortion with electric guitars made for a kind of annoying evening at an otherwise wonderful outside restaurant in Taormina, but so it goes I guess. Although not a musical performance exactly, we went to a wonderful puppet show with recorded music (medieval instrumental songs on whistle with drum) in Cefalu, which along with many places in Italy has a rich history of very elaborate puppet shows that go back many hundreds of years. Although spoken (shouted!) in Italian, after about half the one-hour show I was able to follow the story, which involved a hero vanquishing his Saracen foe for his king and rescuing a captured priest. Much sword play, heads cut off, the flying Devil repelled, scary monster fought and killed in a dungeon, evil advisor to the king defeated. All hail the knight Renaldo! Lots of fun and well-staged. The kids in the audience, most likely more enthralled by Xbox where not overly impressed but the adults thought it was great! Our trip concluded with three nights in Rome where we heard more street rockers, a cool gypsy band in Piazza Navona and of course more accordion guys. But the highlight of the entire trip music-wise was an evening at a small jazz club. There we heard a trio – electric hollow body guitar, tenor sax, stand-up bass – who were positively world-class jazzers. They played a wide range of jazz, from swing standards to bossa nova to pyrotechnic bop and I said to my wife, son and his fiancé that I thought it would not be possible to better players ANYWHERE. The guitarist was a joy to watch and hear from a few feet away. Incredible chops, perfectly constructed solos, prefect back-up for the sax player. I spoke with them briefly when they were on break and they seemed like great guys and were truly modest and grateful for my gushing comments on their playing. We stayed for two sets and I could have listened all night. Which gets me to my final thoughts. As we have seen and heard in our previous trips to Italy (and I suspect the same is true throughout Europe), American jazz is loved by Europeans, both young and old. It makes me sad to know that the same cannot be said for most Americans, judging by the difficulty of finding jazz outside of limited numbers of places in big cities in this country. Jazz is truly American music and one of our finest exports. Europeans seem to want to understand the American psyche in many ways, and we made it our mission everywhere we went in Sicily and rest of Italy to let them know that what they are witnessing in the States today on a social level is NOT what “made America great.” But our music? That is something that we can be proud of. I know I am. And what a wonderful way to build bridges. I’m not sure when I will be able to return to Europe. Soon, I hope. And when I do I’m confident that in some piazza or tiny bar or restaurant I will again hear some unknown player with monster chops embracing one of the most enriching forms of American culture, our music.